Jeffrey Dean Morgan is 52 on April 22. April 22: Actress Charlotte Rae (”The Facts of Life”) is 92. Actress Estelle Harris (”Seinfeld”) is 90. Actor Jack Nicholson is 81. Singer Mel Carter is 79. Country singer Cleve Francis is 73. Director John Waters is 72. Singer Peter Frampton is 68. Singer Paul Carrack (Squeeze, Mike and the Mechanics) is 67. Actor Ryan Stiles (”The Drew Carey Show”) is 59. Comedian Byron Allen (”Real People”) is 57. Actor Chris Makepeace is 54. Guitarist Fletcher Dragge of Pennywise is 52. 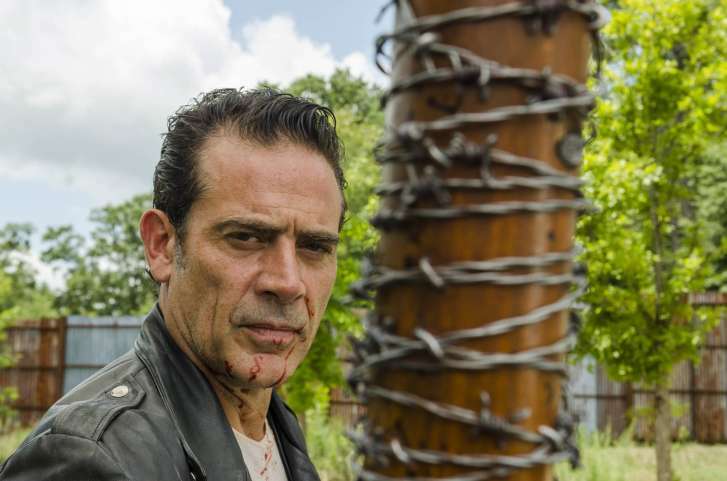 Actor Jeffrey Dean Morgan (”The Good Wife,” `’Grey’s Anatomy”) is 52. Actress Sheryl Lee (”Twin Peaks”) is 51. TV personality Sherri Shepherd (”The View”) is 51. Country singer Heath Wright of Ricochet is 51. Country singer Kellie Coffey is 47. Actor Eric Mabius (”Ugly Betty”) is 47. Singer-guitarist Daniel Johns of Silverchair is 39. Actress Amber Heard is 32. Drummer Tripp Howell of LANCO is 29. April 23: Actor David Birney is 79. Actor Lee Majors (”Six Million Dollar Man”) is 79. Actress Blair Brown is 71. Actress Joyce DeWitt (”Three’s Company”) is 69. Actor James Russo is 65. Director Michael Moore is 64. Actress Judy Davis is 63. Actress Valerie Bertinelli is 58. Comedian George Lopez is 57. Actress Melina Kanakaredes (”Providence”) is 51. Drummer Stan Frazier of Sugar Ray is 50. Guitarist Tim Womack of Sons of the Desert is 50. Actor Scott Bairstow (”Party of Five”) is 48. Actor John Lutz (”30 Rock”) is 45. Musicians Aaron and Bryce Dessner of The National are 42. Wrestler-turned-actor John Cena (”The Marine”) is 41. Actor-comedian John Oliver is 41. Actor Kal Penn (”House M.D.,” `’Harold and Kumar”) is 41. Singer Taio Cruz is 35. Actor Jesse Lee Soffer (”Chicago P.D.,” `’Chicago Fire”) is 34. Guitarist Anthony LaMarca of The War On Drugs is 31. Actor Dev Patel (”Slumdog Millionaire”) is 28. Actor Matthew Underwood (”Zoey 101”) is 28. Model Gigi Hadid is 23. Actor Charlie Rowe (”Salvation”) is 22. April 24: Actress Shirley MacLaine is 84. Actress-singer-director Barbra Streisand is 76. Country singer Richard Sterban of the Oak Ridge Boys is 75. Drummer Doug Clifford (Creedence Clearwater Revival) is 73. Singer-keyboardist Rob Hyman of The Hooters is 68. Actor Eric Bogosian is 65. Singer-bassist Jack Blades of Night Ranger is 64. Actor Michael O’Keefe is 63. Bassist David J (Love and Rockets, Bauhaus) is 61. Actor Glenn Morshower (”24”) is 59. Bassist Billy Gould (Faith No More) is 55. Actor-comedian Cedric the Entertainer is 54. Actor Djimon Hounsou (”Blood Diamond,” `’Amistad”) is 54. Drummer Patty Schemel (Hole) is 51. Drummer Aaron Comess of the Spin Doctors is 50. Actor Aidan Gillen (”Game of Thrones”) is 50. Actress Melinda Clarke (”The O.C.”) is 49. Actor Rory McCann (”Game of Thrones”) is 49. Bassist Brian Marshall of Creed and of Alter Bridge is 45. Actor Derek Luke (”Madea Goes to Jail,” `’Friday Night Lights”) is 44. Actor Thad Luckinbill (”12 Strong,” `’The Young and the Restless”) is 43. Actor Eric Balfour (”24”) is 41. Actress Rebecca Mader (”No Ordinary Family,” `’Lost”) is 41. Actress Reagan Gomez (”The Parent `Hood”) is 38. Actor Austin Nichols (”One Tree Hill”) is 38. Actress Sasha Barrese (”The Hangover”) is 37. Singer Kelly Clarkson (”American Idol”) is 36. Singer-bassist Tyson Ritter of All-American Rejects is 34. Country singer Carly Pearce is 28. Actor Joe Keery (”Stranger Things”) is 26. Actor Jack Quaid (”The Hunger Games”) is 26. April 25: Actor Al Pacino is 78. “Dancing With The Stars” judge Len Goodman is 74. Bassist Stu Cook of Creedence Clearwater Revisited is 73. Singer Bjorn Ulvaeus of ABBA is 73. Actress Talia Shire is 73. Actor Jeffrey DeMunn (”The Green Mile”) is 71. Country singer-songwriter Rob Crosby is 64. Actor Hank Azaria (”The Simpsons”) is 54. Singer Andy Bell of Erasure is 54. Bassist Eric Avery (Jane’s Addiction) is 53. Guitarist Rory Feek of Joey and Rory is 53. Actress Gina Torres (”I Think I Love My Wife”) is 49. Actress Renee Zellweger is 49. Actor Jason Lee (”My Name Is Earl,” `’Almost Famous”) is 48. Actor Jason Wiles (”Third Watch”) is 48. Actress Emily Bergl (”Southland”) is 43. Singer Jacob Underwood (O-Town) is 38. Actress Allisyn Ashley Arm (”Sonny With A Chance”) is 22. April 26: Actress-comedian Carol Burnett is 85. Guitarist-songwriter Duane Eddy is 80. Singer Maurice Williams of Maurice and the Zodiacs is 80. Singer Bobby Rydell is 76. Singer Gary Wright is 75. Actor Giancarlo Esposito (”Revolution,” `’Breaking Bad”) is 60. Drummer Roger Taylor of Duran Duran is 58. Drummer Chris Mars of The Replacements is 57. Actor-singer Michael Damian is 56. Actor Jet Li is 55. Guitarist Jimmy Stafford of Train is 54. Actor-comedian Kevin James is 53. Keyboardist Jeff Huskins of Little Texas is 52. Fiddler Joe Caverlee of Yankee Grey is 50. Singer T-Boz of TLC is 48. Actress Shondrella Avery (”Napoleon Dynamite”) is 47. Bassist Jay DeMarcus of Rascal Flatts is 47. Bassist Michael Jeffers of Pinmonkey is 46. Drummer Jose Pasillas of Incubus is 42. Actor Jason Earles (”Hannah Montana”) is 41. Actor Leonard Earl Howze (”Barbershop”) is 41. Actor Tom Welling (”Smallville”) is 41. Actor Pablo Schreiber (”Orange is the New Black,” `’Weeds”) is 40. Actress Jordana Brewster is 38. Actress Stana Katic (”Castle”) is 38. Actress Marnette Patterson (”Something So Right”) is 38. Actor Channing Tatum is 38. Actress Emily Wickersham (”NCIS”) is 34. April 27: Actress Anouk Aimee is 86. Singer Ann Peebles is 71. Singer Kate Pierson of The B-52’s is 70. Singer Herbie Murrell of The Stylistics is 69. Guitarist Ace Frehley (Kiss) is 67. Singer Sheena Easton is 59. Actor James Le Gros (”Ally McBeal”) is 56. Bassist Rob Squires of Big Head Todd and the Monsters is 53. Singer Mica Paris is 49. Drummer Patrick Hallahan of My Morning Jacket is 40. Singer Jim James of My Morning Jacket is 40. Singer-guitarist Travis Meeks of Days of the New is 39. Guitarist John Osborne of the Brothers Osborne is 36. Actress Ari Graynor (”Nick and Norah’s Infinite Playlist”) is 35. Singer-guitarist Patrick Stump of Fall Out Boy is 34. Actress Sheila Vand (”24: Legacy”) is 33. Actress Jenna Coleman (”Victoria,” `’Doctor Who”) is 32. Singer Nick Noonan of Karmin is 32. Actor William Moseley (”The Chronicles of Narnia”) is 31. Actress Emily Rios (”Breaking Bad”) is 29. April 28: Actress-singer Ann-Margret is 77. Actor Paul Guilfoyle (”CSI”) is 69. Former “Tonight Show” host Jay Leno is 68. Actress Mary McDonnell is 66. Singer-bassist Kim Gordon of Sonic Youth is 65. Rapper Too Short is 52. Actress Bridget Moynahan is 47. Actor Chris Young is 47. Rapper Big Gipp of Goodie Mob is 45. Actress Elisabeth Rohm (”Law and Order”) is 45. Actor Jorge Garcia (”Lost”) is 45. Actress Penelope Cruz is 44. Actor Nate Richert (”Sabrina the Teenage Witch”) is 40. TV personalities Drew and Jonathan Scott (”The Property Brothers”) are 40. Actress Jessica Alba is 37. Actress Jenna Ushkowitz (”Glee”) is 32. Actress Aleisha Allen (”School of Rock,” `’Are We There Yet?”) is 27.